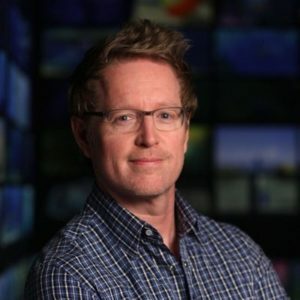 Oscar-winning filmmaker Andrew Stanton joined Pixar Animation Studios in 1990 and helped to establish Pixar as one of the world’s leading animation studios. He wrote and directed the worldwide hit films A Bug’s Life (1998), Finding Nemo (2003) and Wall-E (2008). Finding Nemo and Wall-E won Academy Awards for Best Animated Feature. He directed Disney’s John Carter (2012), a science fiction film, and co-wrote the three Toy Story animated films. Stanton also dabbles in voice work, perhaps most memorably as Crush, the laid-back turtle, in both Finding Nemo (2003) and Finding Dory (2016).